Hello and welcome to my blog! 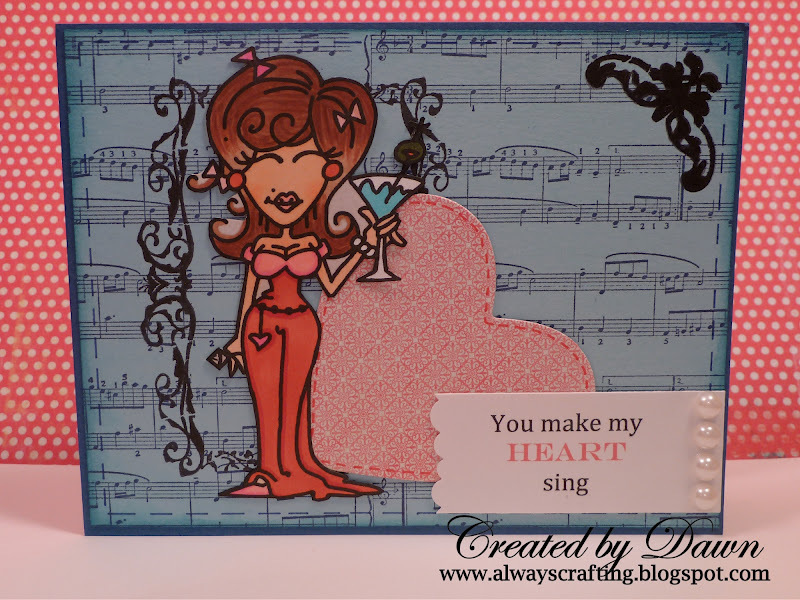 Today at Crafting for all Seasons we are having another challenge and the theme of this challenge is "Love is in the air". 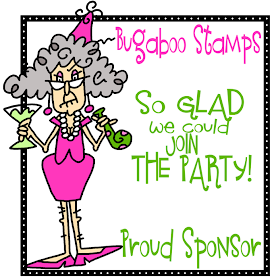 I used Dottie Celebrate from Bugaboo! She is just one of many fun images that Jodie has created. I also created this card using the same image. They are offering a $10 giftcard for one lucky winner! Head over to Crafting for all Seasons blog and enter your project today. I love the tic tac toe thing on the first one, but the second card is also a real beauty! 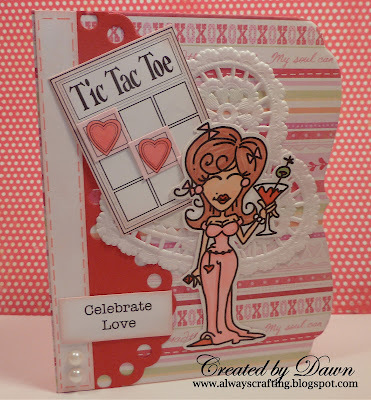 Two fab cards Dawn, I love the Tic Tac Toe board, great idea. Adorable card Dawn and thanks for having me tag along on this challenge - I've had fun! Fabulous card, love the quirky image. Thanks for joining us this week at MMCS. 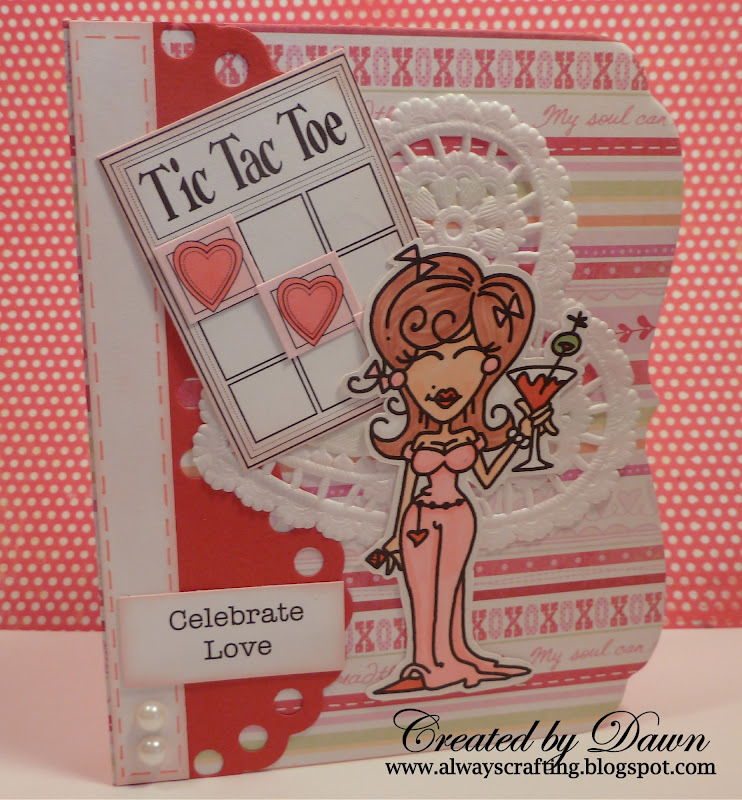 So cute= love the tic tac toe! Thanks for joining the PC DT challenge. This is such a great card! I really love what you’ve done with it! what a cool digi image :) the tic tac toe element is great . Thanks so much for playing along with us this week at Simon Says Stamp! Good luck! great card! thanks for playing with us at Creative Belli. Hope to see you again soon! Both of your cards are adorable!! I just love that Tic Tac Toe with the hearts. Super cute. 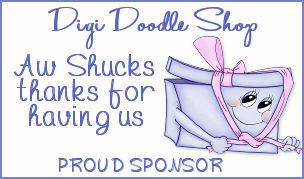 Thank you for playing along with us at Digistamps 4 Joy!